Sing Sing was founded in 1825. It’s long history and symbolism as a forward thinking prison is documented in the proposed Sing Sing Museum, which will educate visitors on both the history of the prison as well as Mass Incarceration in the US. Sing Sing Prison Museum will open to the public and serve as the first museum with a working prison. Its contents will provide a historic overview and timeline of the Prison, as well as a detailed account of its pivotal role in the local community. As a prison, Sing Sing is instrumental in striving to redefine mass incarceration in the United States, focusing on ways to combat and challenge traditional thinking towards prison reform. These ideas are crucial in understanding today’s controversial criminal justice system and mass incarceration. The visitors center acts as a threshold for visitors. Prior to entering the museum, they will be invited to create a personal connection to the prison system in the US. This is done through a contemplative and sensorial journey that connects one to the surrounding area and Sing Sing’s unique history. 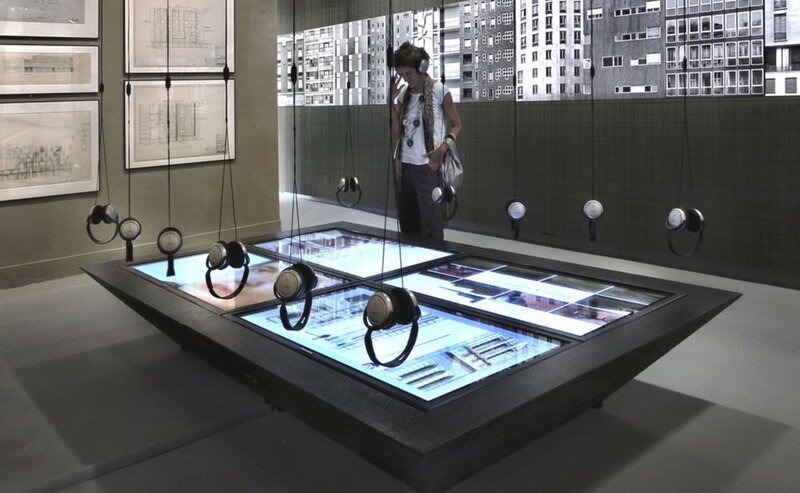 The unique voices and perspectives of all who are involved in the criminal justice system are allowed to be heard through storytelling and narrative through objects, text and digital technology, immersing visitors in the ideas presented. These concepts encourage visitors to ponder the role of mass incarceration in the US today, which many are unfamiliar with. A powerful quote as written above, one begins to ponder these words by analyzing the long history of mass incarceration and its effect on all involved. Although the system highly affects those who are serving sentences, the officers who are on duty are similarly counting down their sentence, looking forward to retiring. Family members who are visiting incarcerated friends or family often have to travel long distances and deal with the burden of not being able to see a loved one very often. And perhaps most powerful, the stories of victims and family members of victims. By Including all voices of opposition, the narrative establishes an idea that the the prison system, although seemingly portrayed as detrimental to prisoners alone, tends to have a wider arc, affecting all who are associated. This builds a strong dialogue that connects visitors to the museum prior to entering, allowing them to form initial opinions and shift their perception. 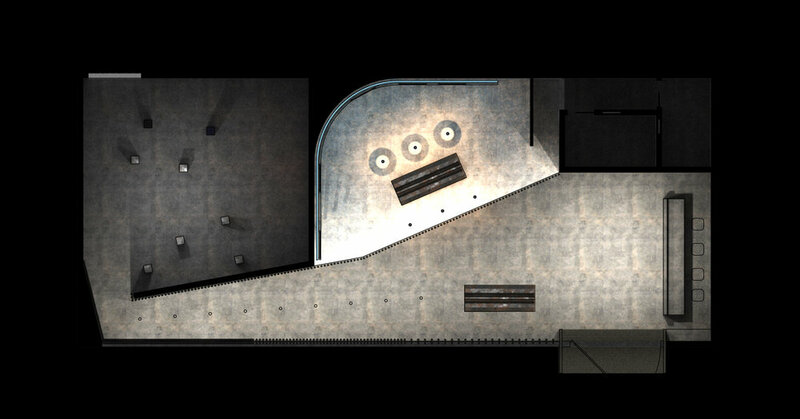 The Visitors Center is divided into 4 zones that dictate the exhibition spaces and circulation flow. Six headsets installed in the zone will play the interviews of people from the street. The questions about the prison system would be simple, and also, the answers from the people don’t need to be correct. These interviews will help visitors think about prison systems and act as a starting point of the narrative in the visitors center. Beyond the Zone 1, there would be interactive world map that enables visitors to explore the prison system of US and that of other countries. They will compare the system all over the world, and help them ponder justice in US. The main screen showing the map of the world will be installed on the wall and the smaller device will be installed on the rail so that people move them and click a country they want to explore. 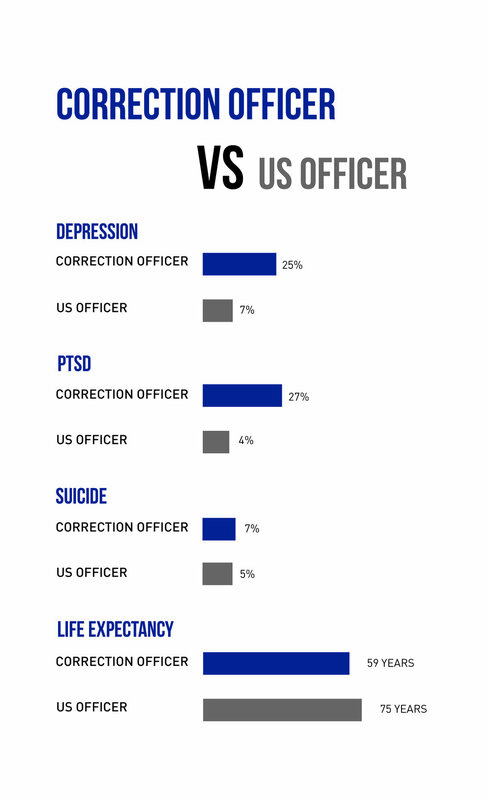 This space provides a direct comparison between officers and prisoners, who are directly affected and involved in the prison system. 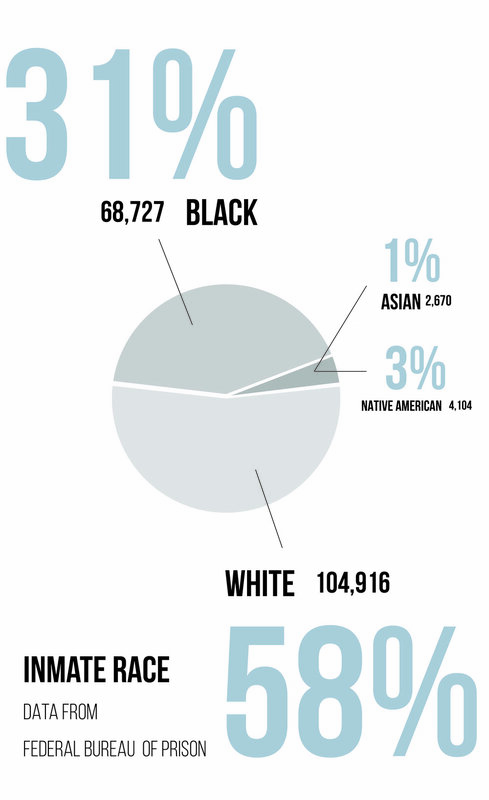 These text labels dictate the various differences, such as racial and large amounts of numbers, as well as the similarities, such as a wide range of mental health issues. In addition, the corridor gets narrower and darker to help visitors be immersed into the narrative, and lead them to the last exhibit(Zone 4) smoothly. Zone 4 is the last exhibit before entering the main museum. In this space, repurposed lockers used in the existing space contain objects found in prison, such as photographs, personal belongings, toiletries and more. Objects tell powerful stories, and this space allows these stories and voices to be heard. In addition, video footage from organizations such as ‘The Marshall Project” allow all sides of the prison story to be hard, from former prisoners and correction officers, to victims and family members. To create a narrative that displays the contrast and juxtaposition between the US justice system and the rest of the world, highlighting the disparities and the need for change. Continuing the exhibit, visitors will be informed as to how the prison system affects all who are involved. It is meant to generate a dialogue on why things should change. In addition, the educational and informative material provided creates exposure to the problems to be faced ahead before entering the prison itself.